In a city famous for being at the epicenter of social and cultural movements ranging from the Renaissance to commercial trade and operatic music, the US Pavilion at the Venice Architecture Biennale is outlining another important movement which is changing our world: interventionist urbanism spurred from alternative recession-era revitalizations based on “social impact design” ideals. The exhibit, entitled Spontaneous Interventions: Design Actions for the Common Good, displays over a hundred examples of self-initiated urban improvements designed to address issues concerning economy, sustainability, community, accessibility, and pleasure. Projects ranging from "parklets to community farms, guerrilla bike lanes to urban repair squads, outdoor living rooms to pop-up markets, sharing networks, and temporary architecture" can all be found at the US Pavilion in Venice for the next couple months. Although there are too many interventions to mention in this space, we would like to shed some light on a few of our favorites. Projects such as the Aquaponics Container System address issues of climate-adaptable agriculture with solutions that are deployable, sustainable, and interdisciplinary. 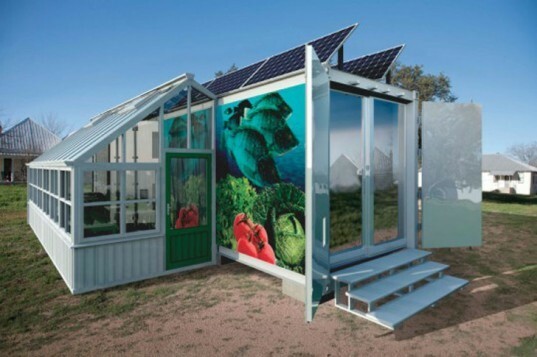 The Aquaponics Container System is made from repurposed refrigerated shipping containers in order to house an aquaculture and hydroponic system for farming fish and vegetables. Other projects such as BK Farmyards in Brooklyn help to bring agricultural solutions to urban environments. BK Farmyards is a large urban farming network that brings health, happiness, training, and employment to residents in Central Brooklyn. The projects in the US Pavilion range from the formal participatory interventions to more guerrilla interventions, like the Guerrilla Gardening and Guerrilla Bike Lane projects, both of which leave the public guessing as to who might be the author. Many of these guerrilla interventions are performed out of necessity, while others are done in the pursuit of beauty, culture, and art. All of these efforts venture outside the box as a form of expression. 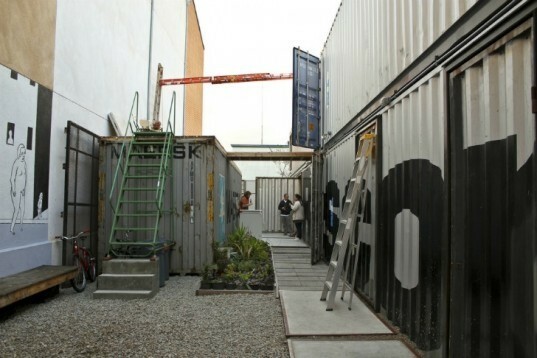 The 13th edition of the Venice Architecture Biennale will run from August 29 through November 25, 2012. It’s the most prestigious architecture event in the world and will be attended by hundreds of thousands of visitors. Some of the participants for the US Pavilion included: Architecture for Humanity, Better Block Project, Center for Urban Pedagogy, Chicago Loop Alliance, City Repair, COMMONstudio, envelope A+D, Freecell, Futurefarmers, GOOD, Fritz Haeg, HOK, Make it Right, MAS Studio, popuphood, the Rockwell Group, Mark Shepard, Street Plans Collaborative, and WORKac. Co-curators Cathy Lang Ho, David van der Leer, and Ned Cramer have performed admirably in bringing such global attention to a wonderful topic that now affects millions of people in the United States. In a city famous for being an important epicenter for such movements as the Renaissance, commercial trade, and operatic music, the US Pavilion at the Venice Architecture Biennale is outlining another important movement which is changing our world. This movement is characterized as a type of interventionist urbanism spurred from alternative recession-era revitalizations based on “social impact design” ideals. The exhibit, entitled Spontaneous Interventions: Design Actions for the Common Good, displays over a hundred examples of self-initiated urban improvements designed and made for US cities in order to intervene on issues concerning economy, sustainability, community, accessibility, and pleasure. Projects ranging from "parklets to community farms, guerrilla bike lanes to urban repair squads, outdoor living rooms to popup markets, sharing networks, and temporary architecture" can all be found at the US Pavilion in Venice for the next couple months. Aquaponics Container System by Austin Urban Solutions & Rosner Studio. 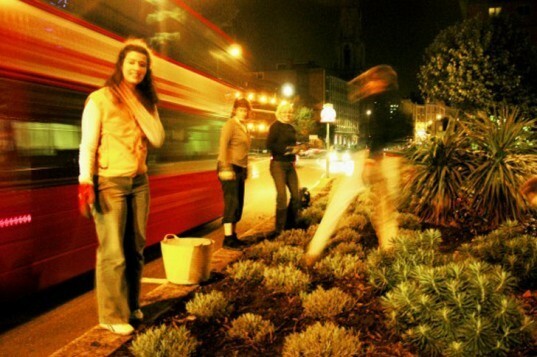 Guerrilla Gardening has been around since the 1970s and continues to be a hit for various organizations around the world. BK Farmyards is a large decentralized urban farming network based in Brooklyn. BK manages several acres of land and promotes education and employment. 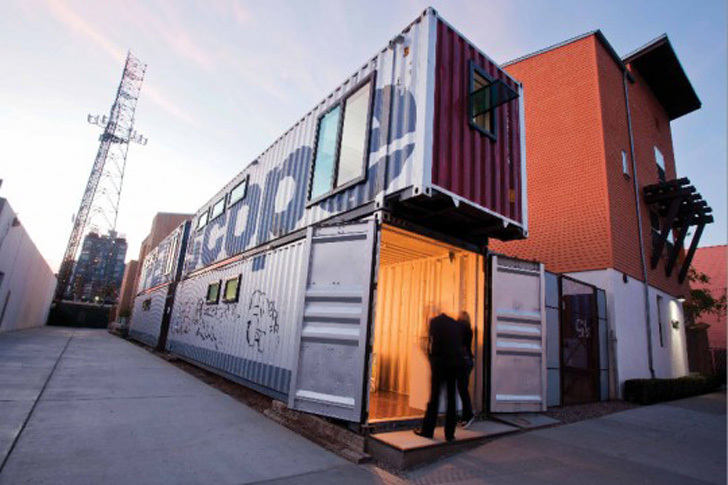 Fresh Moves Mobile Market by Architecture for Humanity Chicago. The Mobile Market brings fresh produce to the 500,000 Chicago residents living in neighborhoods that are classified as food deserts. Guerrilla Bike Lanes have been installed all over US cities by anonymous organizations in an effort to make cyclists safer. Guerrilla Grafters is an organization from San Francisco that grafts fruit bearing branches to trees all over the city. This allows the public to benefit from locally grown produce. Mobile Dumpster Pools, by Macro Sea, have been seen all over New York City since 2009. Parklets have been found all over San Francisco and other US major cities. Parklets provide landscaping and public seating in metered parking spaces.